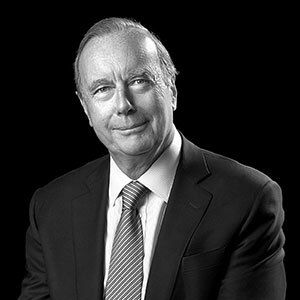 Gerard Moufflet has extensive experience in healthcare and life science investing and operations. From 1972 to 1989, Mr. Moufflet worked for Baxter International where he was in charge of European and African Operations and Head of Worldwide Strategic Planning for the dialysis product line. From 1989 to 2001, Mr. Moufflet was a Managing Director at Advent International, a leading private equity investment firm with funds under management totaling more than $6 billion. During that period, he headed the healthcare team and oversaw investments in Europe and in the United States. Among the companies he backed are Decode in Ireland, Sofamor Danek (Medtronic) in France and the United States, Implant Innovations, Inc. (Biomet) in the United States and Esaote in Italy. Mr. Moufflet is a graduate of the EDHEC Business School in France and holds an MBA from the University of Pittsburgh, where he was a Pittsburgh Plate Class Foundation Scholar. He is a Harvard Business School AMP and has been honored by the President of France as a Chevalier de l’Ordre National du Mérite.